The third season of Mind of a Chef will air this Saturday, Sept 6, and will follow chefs Edward Lee and Magnus Nilsson. Get ready for the third season of Mind of a Chef, which will follow 610 Magnolia chef Edward Lee and Fäviken’s Magnus Nilsson. 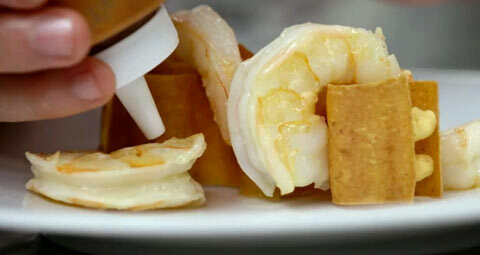 In the exclusive clip above, Alex Stupak shows Lee how to make Empellón’s modernist shrimp tostadas. Mind of a Chef is a show about telling the stories behind food and figuring out what makes chefs tick. With Lee as our guide, we learn about the history and behavior of masa, and the philosophy of how technique can help chefs achieve something new with traditional flavors (all in under four minutes). 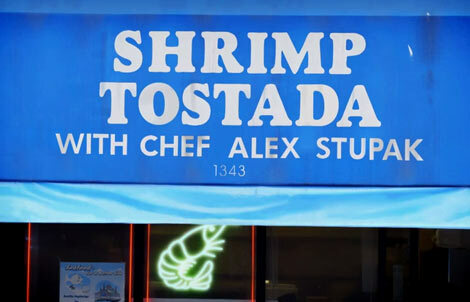 “This looks nothing like Mexican food, but it’s smelling exactly like Mexican food,” says Lee as Stupak plates the shrimp tostada. New episodes will air this Saturday, September 6 on select PBS stations. For the first time, the episodes will be available to download and view on iTunes, Amazon Instant Video, and Google Play beginning this Monday, September 8. Happy viewing.